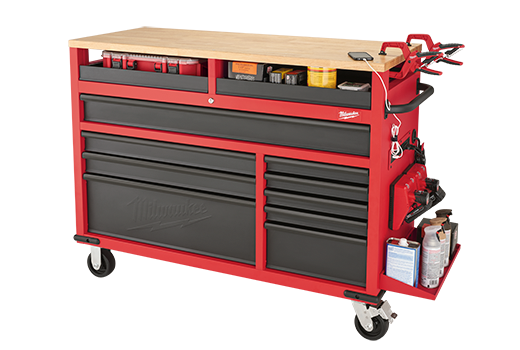 Milwaukee’s new 52″ Mobile Work Bench (Model 48-22-8552) provides yet another storage solution for work shops combined with a great work bench surface. This new model features a 1.25″ thick wood top (that’s reversible) that’s elevated to allow clamping on three sides. 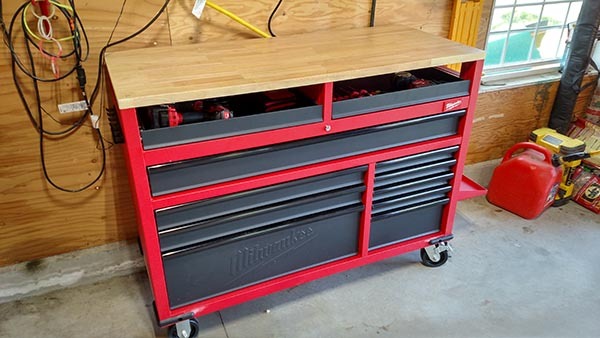 Not only is this a great option for the garage, but it’s also a great option for wood shops and home work shops that need tool storage and a bench. Assembled dimensions with handle and casters installed: 55.4 in. W x 22.3 in. D x 41.1 in. H and weighs approximately 346 lbs. The first impression of this mobile work bench is the quality of construction. It gets delivered on a pallet from a freight company due to weighing over 300 lbs. The steel angle reinforced frame makes this thing a beast! Assembly was very easy with only a few simple items to attach like the wheels and exterior handles and shelf. Everything fit very well and all the necessary fasteners were included. The hardwood top is really nice and solid. The big bonus here is the top is reversible so that you can turn it over after the top surface has been worn. This unit includes heavy duty full extension drawer slides rated at 100 lbs and they operate very smoothly. 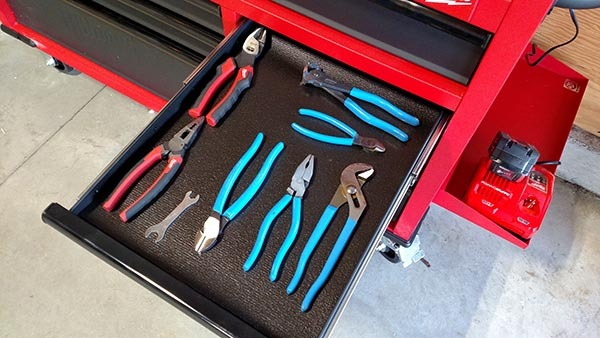 Lastly, the pre-cut premium foam drawer liners are a very nice feature. 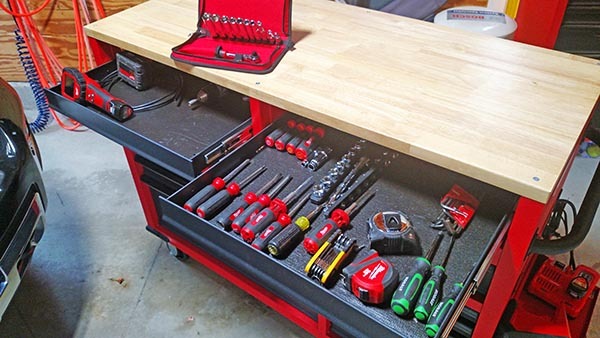 I love the versatility of the storage this mobile work bench provides. There’s a combination of shallow, medium and deep drawers as well as a full width drawer which can be very useful for longer tools, levels and straight edges. 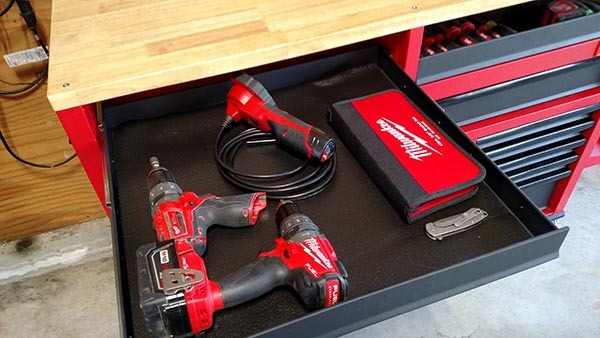 All of the drawers include 100 lb capacity full extension drawer slides so that you can access tools even at the back of the drawer. 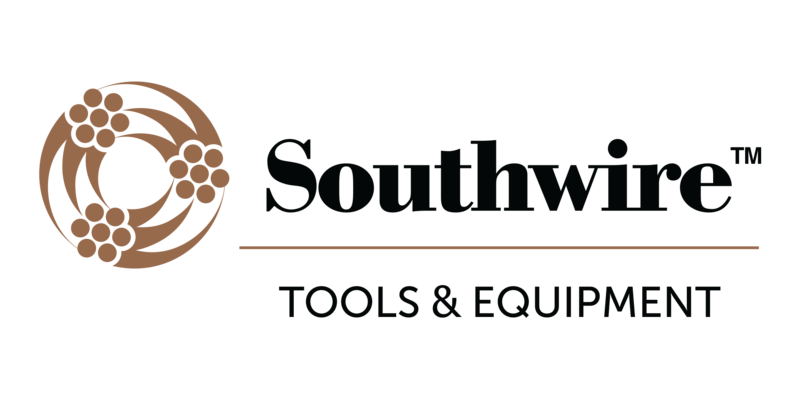 The top two drawers are excellent for slightly taller tools, or tools that you want visible. This is due to the unique design that allows clamps to be used on the wood top. The bottom wider deep drawer comes with metal partitions to allow for easy separation of tools (or you can remove them and not use them at all). 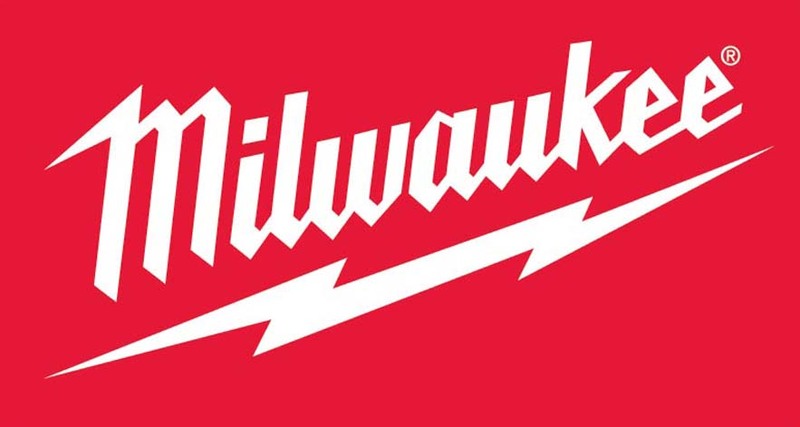 In addition to the drawers, Milwaukee has included some exterior accessories to further expand the storage of this unit. It comes with a bracket that allows screw drivers or other tools to be hung from one side of the cabinet. Also, there’s a short shelf that mounts to the side of the cabinet for storing materials or battery chargers. In addition to that, there are mounting holes that will allow you to hang battery chargers from the side of the cabinet as well. 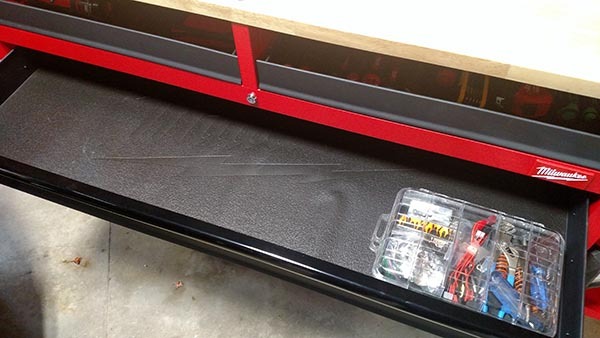 This mobile work bench also includes an integrated power strip on the right side. The power strip has 6 regular outlets on it along with 2 USB ports. My only gripe on this, and it’s a small issue, it would be really nice if the cord could be easily detached from this strip. 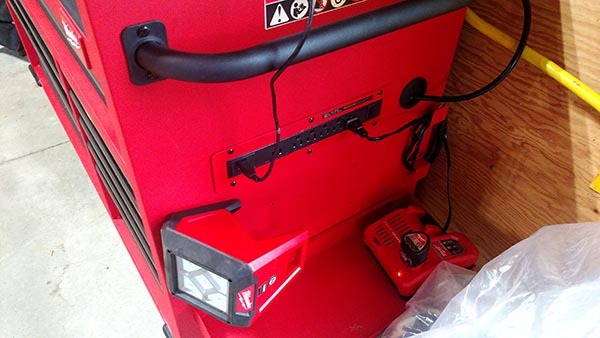 So when the unit is against the wall and plugged in, and you want to roll it around the shop to do some work, the cord would be out of the way, and you could leave it plugged in ready to re-attach when you move it back. 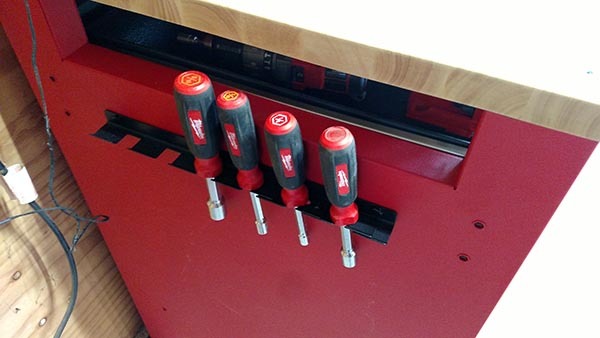 It’s really hard to find any flaws in this new mobile work bench from Milwaukee. 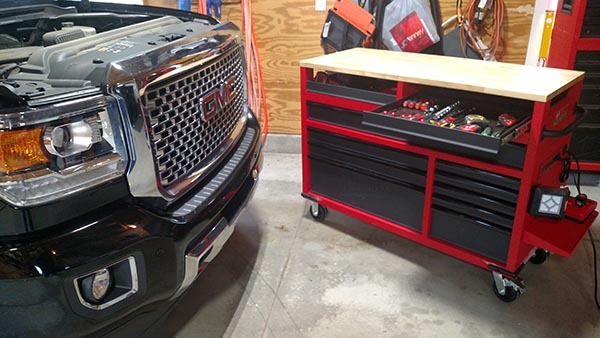 The quality of the materials, the smooth operating drawers, and the versatile storage options make this a great mobile work bench for any shop. Priced just under $500 we think it’s also a great value! 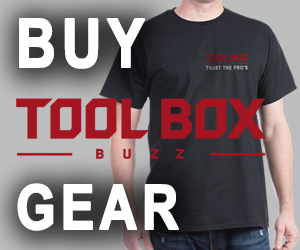 If you’d finally decided it’s time to take back your shop and get organized then be sure to check out the line of tool storage that Milwaukee has now. We’re sure you’ll be as impressed with the quality and features as we are. 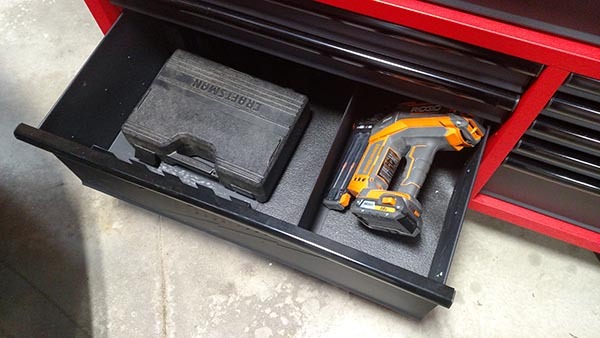 Just add some Fastcap Kaizen foam to the cart drawers and you will be tooling! This storage chest is no longer available. 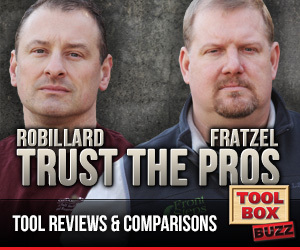 Do you have a recommendation on another brand of comparable size and function?